Orange County’s fairytale city of Anaheim has been growing since 1890. It remains a hugely popular vacation destination, business HQ, and playground for visionaries. From Victorian mansions, to Colony Historic District, modern homes, and Sleeping Beauty’s castle in the Disneyland Anaheim Resort area, with the backdrop of the snowcapped mountains of the Santa Ana Canyon, there is plenty to feast the eyes on here. In 2008 the city announced plans to double the number of housing and commercial business spaces in the Platinum Triangle area around Angel Stadium, as well as to incorporate a new rapid transit system. So how has the city’s face changed since then? Walnut Village is operated by nonprofit Front Porch, and has become one of the top rated centers of its type since 2010. The community provides assisted living built around a shop lined village square, was awarded Continuing Care Retirement Community of the Year by 50+ Builders Magazine, Gold Award for Best Small CRCC by the NAHB, and Beautification of Anaheim Award. SpringHill Suites’ new hotel in Anaheim puts guests in close proximity to Disneyland, while catering to business travelers with interiors featuring desks and light spaces, as well as an on-site snack shop and small fitness center. Conveniently located near the Anaheim Convention Center, the hotel features its own modern, boutique meeting spaces. The new 6-story Courtyard Marriot in Anaheim sits close to the theme park entrance, offers vibrant décor, a family-friendly atmosphere, and even sports its own waterpark on-site, complete with water slides. Some rooms offer views of the Disney firework shows at night. The design provides a unique blend of mission and modern aesthetics. The brand new Holiday Inn Express & Suits Anaheim Resort Hotel offers 5 stories of accommodations, an onsite pool and splash area, and is just moments from all the excitement of Disney. Found right off the expressway and steps to Downtown Disney this hotel is well situated for families looking to get in every moment of action they can. The second new SpringHill Suites hotel on this list – this building puts visitors right in the heart of it, with easy walking to the resort and Anaheim convention center, as well as downtown amenities. Modern design, kid-friendly interiors, and an on-site CVS Pharmacy and coffee and tea shop make this a great convenient choice for tourists. Another new hotel just down the street, Hyatt offers guests walking access to resorts, convention center events, the farmer’s market, garden walk, and art walks. Standing out from the others on the list, Hyatt Place boasts architectural elements that reflect the interior’s more business-like minimalist chic design. One of the largest employers in Anaheim has opened an expansive new medical facility encompassing 434,000 square feet. The building replaces the old Lakeview Hospital built back in 1979. The new campus is built around a 3-acre ‘healing garden’, hosts 262 private rooms, emergency treatment bays, labor and delivery rooms, and a helipad. In contrast to the other new buildings on this list The Crossing rental apartments in Anaheim offer a bolder exterior with modern lines and a dash of color. Taking sustainability seriously from start to finish, the LEED Gold Certified apartment building boasts a 94% landfill diversion and 75% recycling rate during demolition and construction. The spaceship-looking Anaheim Regional Transport Intermodal Center (ARTIC) is a bold addition to the architectural landscape of this area. This transport hub’s diamond quilt-shaped exterior was created to optimize sustainability. Solar provides 20% of the energy used by the building, which lights up in bright colors at night. Winner of the 2015 Public Works Project of the Year Award, and LEED Platinum Certified, it is also home to a Bitcoin ATM. Ranked as one of the largest industrial real estate projects built in the Anaheim area in years, just shy of 100,000 square feet, the business center was built by Ottomans Construction. 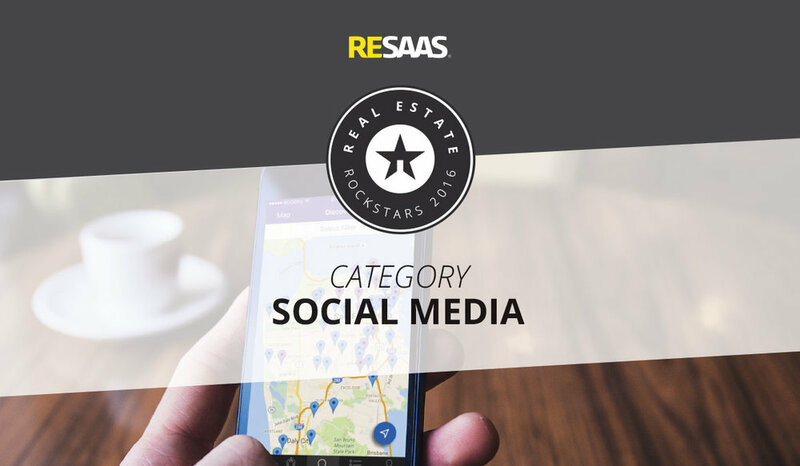 Earlier this week we announced the 2016 Real Estate Rockstars winners and nominees for branding and real estate websites. Now it’s time to reveal the nominees and winners for social media. It’s a no brainer that by now everyone knows social media is crucial for today’s real estate agent. This year’s competition was steep. Brokerages, firms and coaches all came out swinging in hopes to be recognized as a 2016 nominee and ultimately the winner for social media. Let’s walk you through the criteria. These days, it’s easy for anyone to hop onto a social media platform, create an account and post their lives away. It’s these special few that are able to keep their growing audience engaged by dishing out valuable, share-worthy content. Let’s have a closer look at the criteria we used to shortlist our nominees. Someone that knows their way around social media knows how to expand their reach through their social media presence. Are they active on multiple social media channels? Do they have a larger social following? The rule of thumb for content is the ‘80/20’ rule. 80% of the content shared should be of use to followers and NOT a hard sell. The remaining 20% of content can be those “sales-y” posts. But, it should be kept minimal. Does the account follow the 80/20 rule? Sure, you have social media accounts but what are the quality of your posts? Here’s a brokerage that just gets it. The Boutique RE Group makes an effort to use their social media marketing to its full potential – posting beautiful photos, high-quality videos and selling a luxury lifestyle through their content. Let’s not overlook their hashtag game. Boutique RE Group makes great use of hashtags on each one of their listing photos to increase exposure of the neighborhoods of their listings. 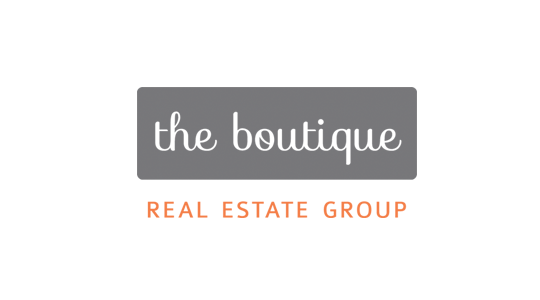 The Inman Influencers List salutes industry professionals who shape, change and influence the industry. They bring a mix of credentials, viewpoints and backgrounds from all walks of the real estate business. Some are creative, intuitive and gifted. Some have power, reach and charisma. And some are controversial, rabble-rousers and disrupters. All of our influencers contribute to change in one way or another. The list is both young and hardened, made up of connectors, power brokers, high earners, CEOs, hackers, troublemakers and startup founders. It’s a list of entrepreneurs, big and small; the old-school and the new; controversial and quiet plodders. “They are not cut from the same cloth, they do not speak the same language and they do not always necessarily share the same values. But they influence the industry by their work, through their followers and by expressing their opinions,” said Inman publisher Brad Inman. In selecting this year’s Inman influencers, we considered recommendations from Inman readers, editorial staff and outside suggestions. Yes, thousands of real estate professionals make a difference in the real estate industry every day, but these are some we believe stood out this year.